My daughter celebrated her birthday flying over the ocean. She is currently in Tazmania and will be traveling throughout Australia. Before my fall and wrist injury, I was working on these quilt tops for my nephews little girls for Christmas.. Thankfully my sister-in-love came to the rescue and quilted them for me on her mid arm. I really appreciated her taking the time to finish these quilts for me. My mom wanted me to post and let you all know that she broke her wrist yesterday and will be out of blogging commission for a while. She appreciates all of the comments on her recent giveaway and wishes she could reply to them all! Prayers are appreciated. Hopefully she will be back to blogging very soon! 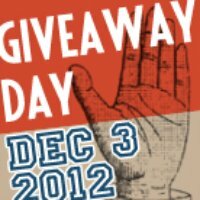 Today is the Giveaway Day at SewMamaSew! Are you ready to visit all the blogs that are giving away some fun goodies?? So what am I giving away this time?? A copy of Material Obsession 2! Just a sampling of the fabulous quilts in this book. Please leave a comment on this post telling me where you are from. I love meeting friends from all over the world, and it's fun to see where my readers are writing from. Giveaway will be open until Friday afternoon at which time I will close the comments. Winner will be contacted by email, so please BE SURE that you have a way to be contacted. Thanks for stopping by. I hope you enjoy the SewMamaSew Giveaway Day! Christmas projects in the works! How's your Christmas sewing coming along?? Are you running out of space?? No not for fabric. For your pictures on blogger?? I have noticed a lot of bloggers mentioning they have reached their limit of free space on blogger. Did you know that when blogger FORCED us to go to the new interface, your picture size doubled when publishing?? Aha, so that is why the space is being eaten up so quickly. I found a very helpful blog post on Blue Eyed Beauty Blog. Helen found the solution to the problem. I now upload my pictures to Picasa and resize them to 800x600, which will NOT go against your picture count. I also can watermark my pictures at the same time. A double benefit. This has been a huge blog saver for me, as I do not have a store, or sponsors. I just enjoy blogging and sharing about my quilting and thrifting experience. So check out Helen's post Fixing Photo Limit Problem. 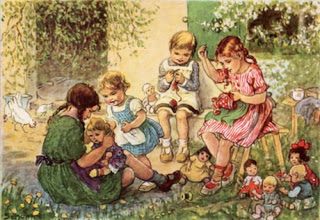 And then have a Happy Quilting day! Have you ever bought charm packs only to find that you don't have quite enough to finish your quilt? Or maybe you just want to make your own charms. You can easily cut as many charms as you like. Cut strips into 5" or 6" and then re-cut the strips to make the charms. You can also cut your jelly roll strips. Yardage guide for strips. 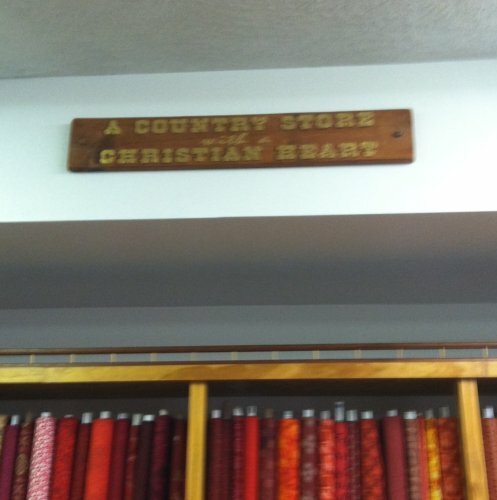 I always find this information helpful when trying to decide how much fabric to purchase. This method seems to be just as effective as a cutting system. Plus it doesn't take up storage room when not in use. I just slide it next to my sewing machine table until I need it again. Saturday was support your Small Business day. Did you do your part?? Country Quilts & Bears is a lovely quilt shop, with a BIG heart. I love the look of quilting in rows in this zig zag quilt. I've seen this done on several blogs. It really turned out to be an easy and efficient way to quilt this quilt top. It took a little bit of wrestling during the process, but I am so pleased with the outcome. Happy Thanksgiving! I know some of my readers will not be celebrating Thanksgiving today, but in any case, we all have something to be thankful for. I am taking Carol's challenge to write a post about being thankful. There are so many things I am thankful for. There have been many challenges this year, but I have purposed to be thankful, even through difficult times. One thing I am particularly thankful for is my family. It seems in our day, there are not many who can share that they have been married to the same wonderful man for over 30 years. When I met my husband, he came from a large family, who valued their strong family traditions. It was all so new to me, but I felt drawn to the energy from these family ties. I never experienced this growing up, and it was something I longed for. 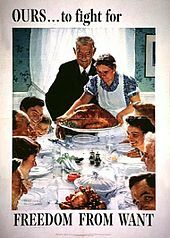 Through the years we have celebrated Thanksgiving with my hubbys parents, brothers, sisters, nieces, and nephews. This year will be different. My precious mother in love passed away this past spring at the age of 91. She left us with many memories of happy shared times. But with her passing, there is also the passing of traditions. We will all be taking up the mantle and making our own family traditions. This holiday season will certainly be different. I am thankful to God for His love and faithfulness. We each walk a different path. I may not know what the future holds, but I have the assurance that HE does hold the future, and knows where we are going. Wishing you a very Happy and blessed Thanksgiving day. Yep, lots of breathing going on. I like to let my batting breathe before I make my quilt sandwich. 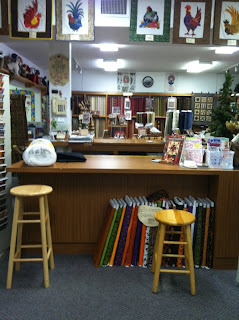 I buy Hobbs Heirloom Cotton Batting at Michael's using my 50% off coupon. I find that is the best deal on batting. Three quilts waiting to be quilted. Did you see Pat Sloan's blog this morning?? She has quilted a zig zag quilt called On the Boulevard. I'd love to quilt mine like she did hers. 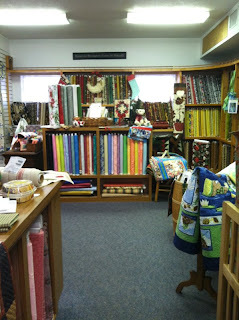 Christmas is coming...... quick...... so I have to get busy and finish these quilts!! 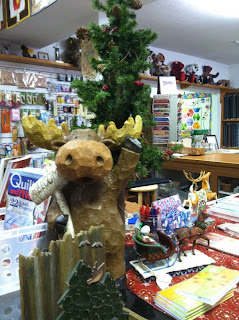 Do you have Christmas projects in the works?? The second quilt top is done. I've been working on two quilts for two little sisters. One has cupcakes, and the other has cherries. I hope they will love these quilts. Can I Get A Whoop Whoop! Need some quick gift ideas? There are so many wonderful tutorials out there in blog land. If you have one that you enjoy, I'd love to hear about it. But for today, grab your cuppa of coffee or hot tea and visit a few of my all time favorite tutorials. As always we love to read Karen's very creative Tool Time Tuesday. She always has something brewing in her creative space. I shared this with you the other day. This is one of my all time favorite Travel-sized Tissue Cozy patterns. Kim shared her easy tutorial on "an oft traveled road". I have all the fabric ready and waiting for this pattern by Tea Rose Home. It is a Modern Square Garden quilt. Who couldn't use another purse in your choice of color. Bola Chica offered a tutorial on a very cute Pleated Purse. You could certainly make one for every outfit. And who wouldn't love and use this adorable Friendship bag courtesy of "p.s. I Quilt"? Have you got a little buddy to make a gift for? How about this TOO cute Softie doll from "60piggies". And for all my tea loving friends, a Tea Wallet Tutorial . Perfect to stick in someone's stocking this year. Sigh...... zippers............. Noodlehead shares a tutorial on a sweet Lil Cutie Pouch. Make them by the dozens. For teachers and friends. And add a Notebook Cover from "My Patchwork". 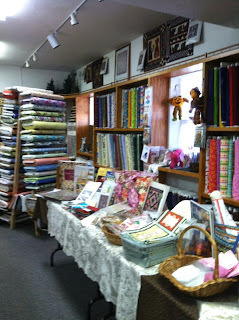 And here is a library of Free Quilting Patterns and Projects from the Quilting Gallery. All in one quick place. I've got dozens and dozens of these tutorials bookmarked on my computer. 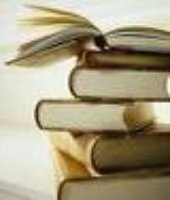 But my purpose today was to give you one post that you can bookmark and go back to visit whenever you need a quick little gift. Have you made any of these?? These tissue cozies are fun to make and fun to give. I love to add them into a little gift basket. Here is the latest stack of Christmas that I have been working on. I've been using Allison's Cluck Cluck Sew pattern "A Pink Classic". Her tutorial is very clear and my points come out perfectly every single time!! Great pattern with NO fabric waste! I've been made aware that there is a giveaway for a new to me book by author Clare O'Donohue. The giveaway is being held in cooperation with The Quilt Show. Sounds like fun, huh?? Here is the scoop from Plume Books. Just in time for the holidays—A new Someday Quilts mystery from Clare O’Donohue is an exclusive Penguin Special from Plume! Christmas is just around the corner in the Hudson Valley. Nell and her friends at the Someday Quilts shop should be making eggnog and finishing up the stitching on their last homemade gifts, but when an arsonist strikes and a beloved teacher becomes a suspect, the ladies rally behind him to clear his good name. Will they succeed in time for him to spend Christmas among loved ones or will this be a chilly winter for the town of Archers Rest? Clare O’Donohue is a freelance television writer and producer. She has worked worldwide on a variety of shows for Food Network, the History Channel, and truTV, among others. She is also the author of The Lover’s Knot, A Drunkard’s Path, The Double Cross and The Devil’s Puzzle in the Someday Quilts series. She is also the author of the Kate Conway Mystery series, including Life Without Parole. O’Donohue lives in Chicago, IL. You can go to Clare's blog and find out about the giveaway for a copy of her e-book Cathedral Windows. Do you have a flimsy or a completed quilt that you could donate?? There is a corporate effort going on to send bed sized quilts to those who have lost everything during Hurricane Sandy. Victoria Findlay Wolfe is also involved in donating quilts. You can read about it on The Moda Cutting Table blog. Won't you take the time to pack up a quilt and send it? I just read on the AQS website that Project Linus is also receiving quilts. 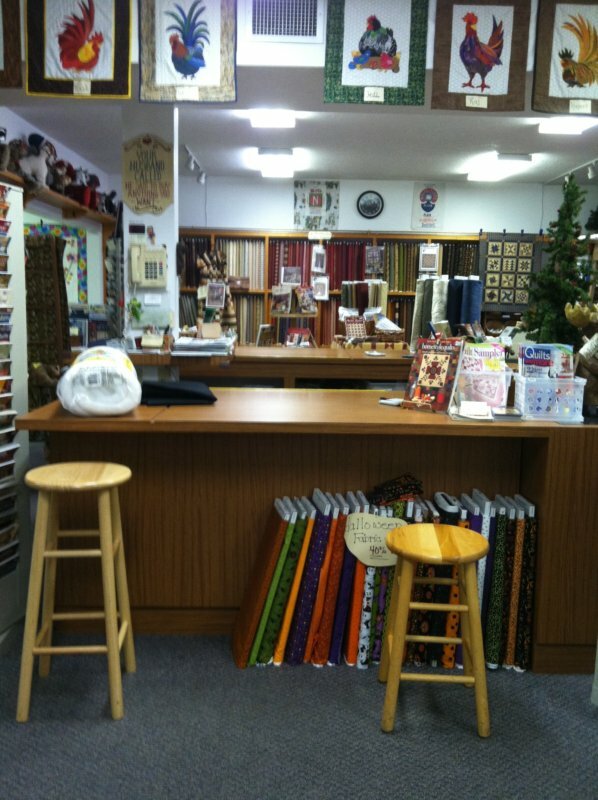 More info can be found at the American Quilters Society site. Have you been visiting the tour?? 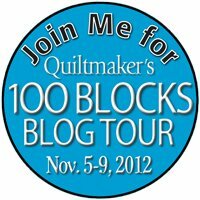 Quiltmakers is having yet another blog hop tour for their latest edition of 100 Blocks!! I've enjoyed these magazines so much. There are so many creative and inspiring designers sharing their blocks. So take a ride, on the 100 Blocks Blog Tour! Don't they look like they are dancing?? Once this is quilted that will be one Christmas present done. I so admire Darlene and the ladies who have been doing Christmas Though the Year. I guess I'm not that disciplined. When the holidays start to peek around the corner, my needle starts going up and down. In the meantime, I think I need to come up with a better design wall solution!